That choice of title, Neither Speak Nor Remain Silent, could not have been chosen more wisely; it encapsulates perfectly the paradox confronting the listener in Fovea Hex’s music. On the one hand, as already stated, the folk elements are emphatically foregrounded, and folk music is at its heart communal music, not to be sat back and listened to, thought about and critiqued; on the contrary, it invites our participation, we are compelled to join in, to speak. Yet equally emphatic is a profound sense of ritual—not exactly a religious sense, it’s more diffuse and unfocused than that, but nonetheless a potent, perhaps pagan forcefulness that invokes a rather different kind of response. Rituals are communal acts too, of course, but participation here has more ebb and flow; at times, whether by rubrics or by our inner sense of the numinous, we are compelled to be silent. This unique, magical paradox has returned in dazzling fashion on Fovea Hex’s new album, Here Is Where We Used To Sing, released last month. Opening track “Far From Here” plunges us so immediately back into familiar Fovea Hex territory that, on first listening, i almost gasped out loud at the sheer thrill of it. Simonds’ distinctive, vibrato-less voice, begins without hesitation, making it clear that, in what lies ahead, melody reigns supreme; everything else—the endless layers and washes of sound—are at its service. It occupies the same kind of wide, warm, expansive soundscapes as the earlier releases described above, the character of which projects another paradox. Driven by the narrative nature of the lyrics, there’s a strong sense of movement and direction; yet these are unmistakably drone-based songs, the whole rooted on an unwavering fundamental. “Play Another” is rather different, at first occupying a dense, intoxicating atmosphere suggestive of Radiohead. It’s kept sedate at first, rocking back and forth on twin chords, before the real magic appears in the final minute and a half, the early melodic aspirations taken up by a soaring violin (played by the superb Cora Venus Lunny). As though inspired by that conclusion, “Falling Things (Where Does A Girl Begin? )” takes place at altitude, drifting in a cloud of bells, piano, bowed cymbals and musical saw. Laura Sheeran, having remained in the periphery on previous Fovea Hex releases, is finally allowed into the spotlight, delivering the main vocals. Her voice is sufficiently distinctive (younger; more breathy but also rather more forceful) while bearing useful similarities to Simonds’, ensuring no stylistic jarring. The song is ravishingly beautiful, but it’s a rain-streaked beauty, the lyrics evoking a mood that is, in all senses, autumnal. “Every Evening”, a collaboration with the wonder that is Andrew Liles, was released as a vinyl single in 2008; this version has been extensively re-worked, and also raised in pitch, a change that benefits the song greatly. The lyrics chart a dangerous path, perilously close to a kind of tweenage preciousness—”every evening we go strolling out of the house and all the way down to the shore / where the open air and the breathing seas and the wheeling night / can unfold us both till we shine like stars once more”—but it’s entirely saved by the (once again) remarkable sound design, enfolding Simonds’ voice in a gentle, pulsating kind of froth, preserving the delicately romantic epicentre of the song. Instrumentals have always sat alongside the songs in Fovea Hex’s output, and there are three on the album, all rather brief. “Brisance, My Baby” is the first, resurrecting the musical language of “Falling Things” and expanding it downwards into a more vast sonic space—only to end, almost as soon as it’s begun. 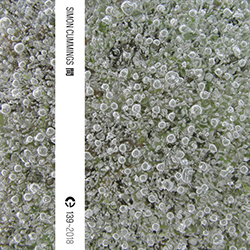 “A Hymn to Sulphur” is rooted on a powerful deep bass throb; Simonds’ voice pervades all, in fore-, middle- and background, different vocal strands gliding around each other. The modal lyricism belies the intensity of this ‘hymn’, which is actually rather unsettling, at times conjuring the mood of late-night ceremonial. The second intrumental, “Love for the Uncertain”, follows, a crystalline pseudo-stasis, like an exquisite miniature gem. The shortest of the songs, “Jewelled Eyes”, takes a break from such boundless vistas, and evokes the more intimate world of chamber music, focusing on strings. This is mirrored in the vocals, Simonds’ voice so close-miced it feels as though she’s singing directly into our ears. The intimacy continues, as does the predominance of strings, in “The Diamonds”, accompanied by the dry, plucked timbres of lyre and psaltery. However, this is answered in the second half—at the words “Fly like a bird…”—by an abrupt return to the wide warmth from before. “Celandine” is the third and final instrumental, in which struck sounds resonate loudly in the space, given shape by a slow, half-present, barely-moving bass. 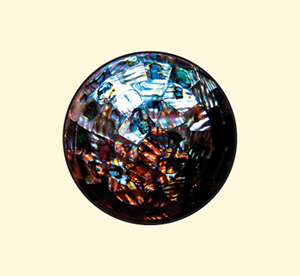 The album concludes with “Still Unseen”, recalling earlier songs: the piano motif is similar to the plucked one in “The Diamonds”, there’s a chamber-like quality as in “Jewelled Eyes”, and the soft rocking back and forth is redolent of “Play Another”. 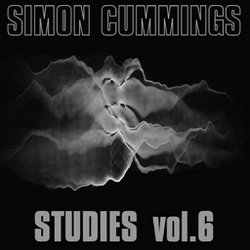 Simple and lullaby-like, the melody just occasionally doesn’t flatter Simonds’ voice, but the rich glowing string textures are delicious and rather moving. This, combined with the emphasis on home-coming in the lyrics, helps the song to form a perfect close to the album. Here Is Where We Used To Sing is an outstanding achievement, extending the groundbreaking approach from their earlier output. Having said that, the average track length on Neither Speak Nor Remain Silent was nearly 7 minutes, and some of the songs on this album seem to be crying out—or, at least, left me crying out—to be explored further and for longer. That’s particularly true of the three instrumentals, that are almost too incidental for their own good; indeed, the two longest tracks, “Falling Things (Where Does A Girl Begin? )” and “A Hymn To Sulphur” are by far the most striking, and i think that’s more than a little in part due to their durations. Also, some may find the way Fovea Hex cling to droning fundamentals in their songs to be an overcautious, expressive hindrance, preventing the songs from really ‘taking off’. However, the kind of harmonic ‘tethering’ they opt for seems in keeping with the songs’ poetic preoccupation with memories, recollections and dreams. It enhances their emotional ambiguity; melancholy and joy are freely intermingled, and while Clodagh Simonds doesn’t in any way wear her heart on her sleeve, every song literally aches with the intensity of its inner emotions. But these are mere considerations, not concerns, and they in no way detract from what is undeniably a mind-bogglingly beautiful, superbly executed album. You can hear the entire album courtesy of the Fovea Hex Bandcamp site, and order it there or via their label, Janet Records. From the label there’s also a limited edition available, which includes a bonus CD, Three Beams, on which a trio of Fovea Hex collaborators—Michael Begg, Colin Potter and William Basinski—offer their own take on the sounds from the album. Of these three, Basinski lets the side down; he either doesn’t really know what to do with his bits of material, or simply rests on his laurels; his piece, “Glaze”, is a rather dull, miasmic soup, offering no fresh insights into the original. Colin Potter’s “Cup of Joy”, however, despite being slightly too long (13 minutes) is a fascinating re-thinking of “A Hymn to Sulphur”, ramping up the intensity still further, with a fabulous unadorned central episode in which Simonds’ and Sheeran’s voices sing out louder than ever. But it’s Michael Begg’s lovely “Fall Calling” (based on “Falling Things”) which is the most rewarding, delivering a interestingly claustrophobic twist on the original. Thanks for your review, after reading it I had a listen and bought the album, some of the loveliest melodies I've heard this year.